In 1895, when Oscar B. Hammerstein’s Olympia became the first theater to move to what was then known as Longacre Square and widely referred to as Thieves’ Lair, the city had yet to install electric street lamps in the area. Hammerstein bathed his theater in electric light, initiating a trend that would transform the emerging Theater District into the Great White Way. Interestingly the illuminated marquee emphasized Hammerstein’s name more than the name of the theater itself, suggesting the important role that the theatrical entrepreneur played on Broadway. The Times Tower, completed in 1904, provided a beacon for the area but it was not until several years later that the Theater District began to fully realize the potential of nighttime illumination. So iconic did the lights of Broadway become that when they were dimmed during World War I, public demand forced the federal government to increase the city’s coal ration so that the lights could be restored. By the 1920s, Times Square had become one of the world’s most widely recognized locales and tourists were eager to send word of their adventures back to the folks at home. This dramatic night view, looking north from Times Square, shows the collective impact of the theaters’ illuminated marquees. Though each sign was intended to sell its theater’s offerings, as a group there was no greater advertisement for the city. Whether any given show was a hit or a flop, the Theater District’s car-choked streets and pedestrian-packed sidewalks were sure to provide a real-life spectacle like no other. From the beginning, developers and theater owners recognized that part of the area’s appeal was the vibrancy of its street life. 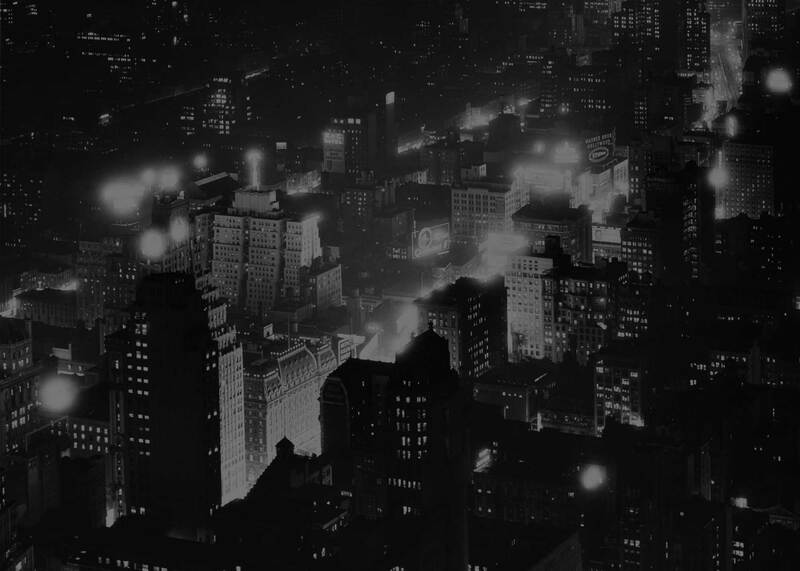 This nocturnal view shows Broadway, including the twenty-three-story Times Tower at lower left, from near the top of the forty-one-story Continental Building (Ely Jacques Kahn, 1931), a massive loft building in the adjacent Garment District.